Hello my crafty friends and thank you in advance for participating in National Stamp & Scrapbook Month. It’s Day 13 of 28 days of giveaways and I am so excited to celebrate with you! 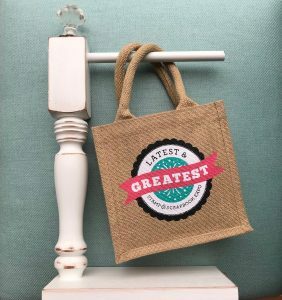 For our next sponsor, we have an amazing prize from Creative Scrapbookers Magazine! Don’t forget to leave your comment on today’s blog post for a chance to win. One winner will be randomly chosen!!! There is definitely something to be said for curling up in your happy place with your favorite crafting magazine, I mean a real hold it in your hand’s magazine. Not to worry, if you are a digital reader they also have Digital Issues available. I am so excited for the lucky winner that will receive THREE 1-year subscriptions (valued at $44.90 each; total $134.70). 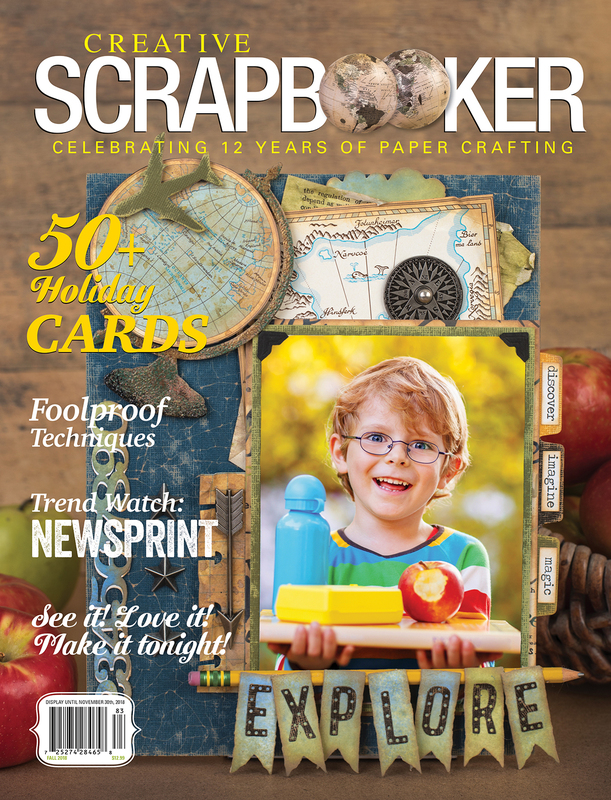 Creative Scrapbooker Magazine is a technique-rich paper crafting magazine that features scrapbooking, card making, stamping, and mixed media projects. 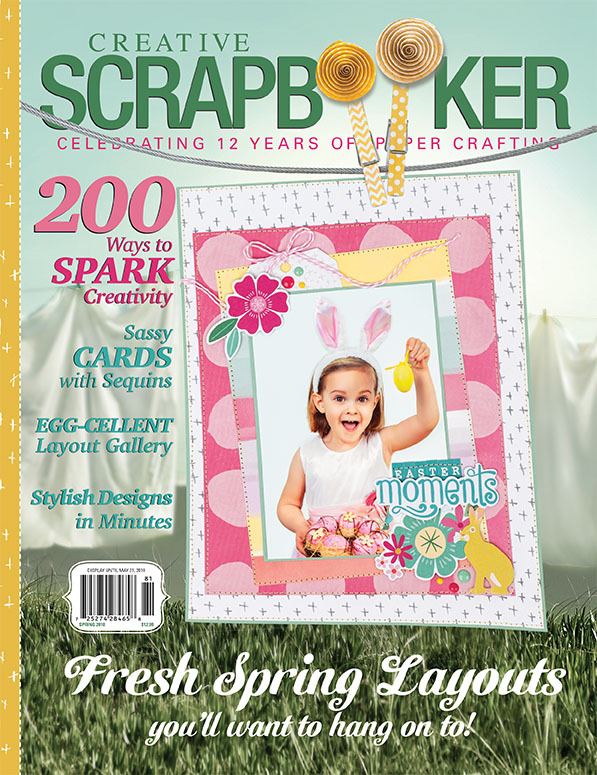 With a gorgeous overall design and book-like print quality, each quarterly issue of Creative Scrapbooker Magazine will be cherished as an inspirational resource in your craft room for years. 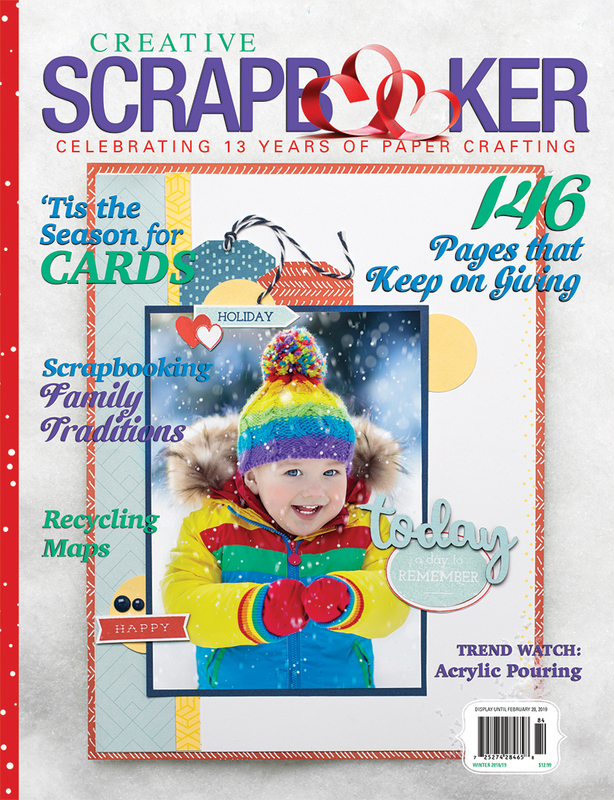 Winter, Spring Summer and Fall Creative Scrapbooker Magazine has something to inspire you all year long. 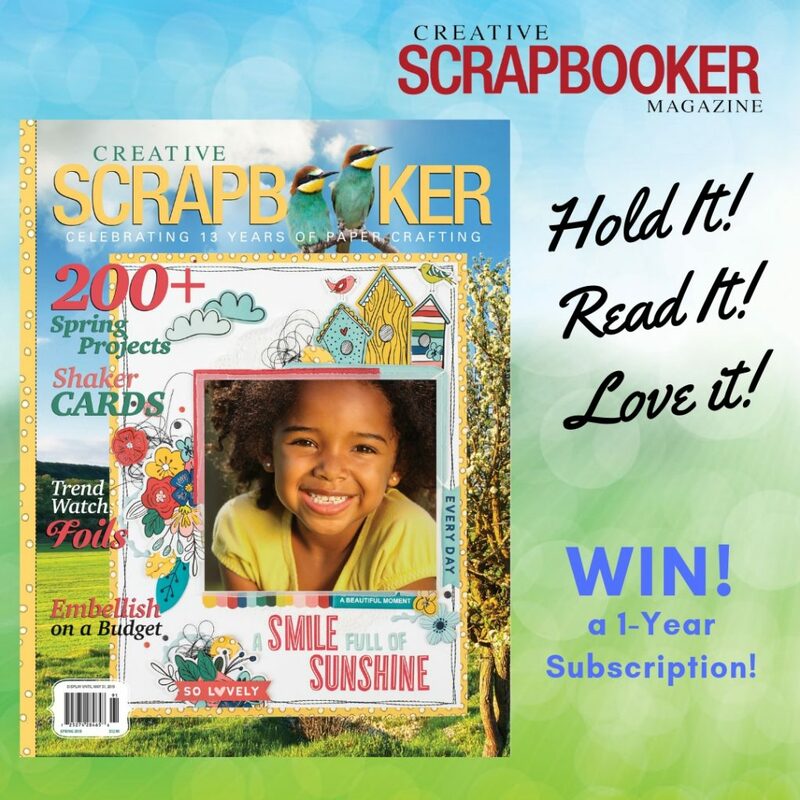 Yes, I know it’s hard to believe but you heard me correctly, Creative Scrapbooker Magazine is giving away THREE 1-year subscriptions (valued at $44.90 each; total $134.70). All you have to do is leave a comment to this post and you too will have a chance of winning this gift that will keep you inspired for the next 3 years. While we are waiting to see who the lucky winner is, you can hop on over to Creative Scrapbooker Magazine social media channels. You’ll find TONS of inspiration there. Thanks for stopping by for National Stamp & Scrapbook month. 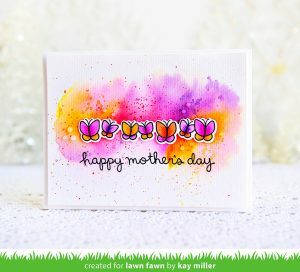 This entry was posted in National Stamp & Scrapbook Expo Month and tagged Card making, Creative Scrapbooker Magazine, National Stamp & Scrapbook Month, paper crafts, Scrapbooking, Stamp & Scrapbook Expo. 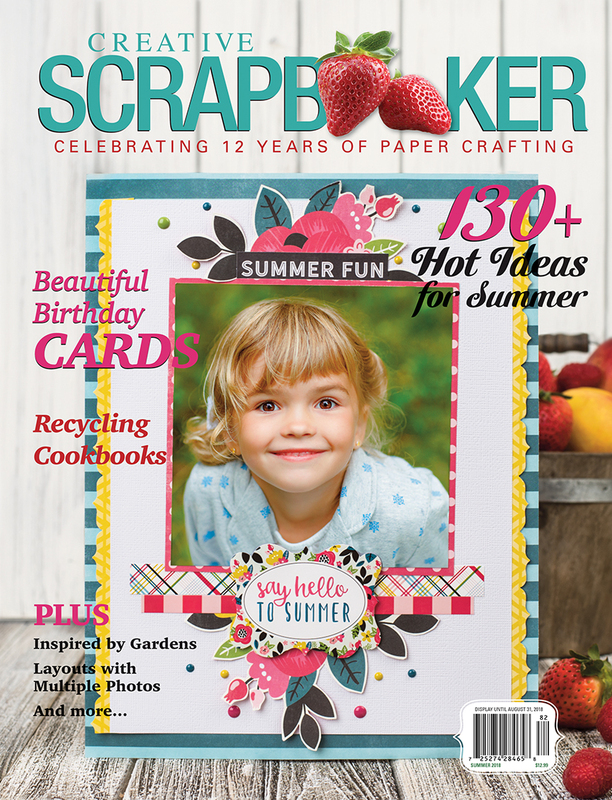 It is so nice to see that there is still a scrapbooking magazine out there! Awesome prize! Thank you for the opportunity to win! I always flip through this magazine at the bookstore. Would love it on my coffee table! Would love to have this subscription! Yes please! I would love a subscription! 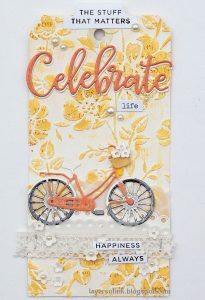 Would love to win 3 years of inspiration from creative scrapbooker. So many great ideas in every issue. This is the gift that keeps on giving. This would be great to get ideas! What an awesome and generous source of inspiration! Love it! I so love this magazine! I go to my Michaels store and sometimes I am lucky to find this on the rack waiting for me. It isn’t there most of the time so having it delivered would be AWSOME! So excited to find this magazine! I’m looking to spice up my creative mojo and get back into my favorite hobby! Thank you! Yes!!!! Paper magazines to hold and love!!!! !